We can repair pretty much any type of video tape. We will splice broken ribbon and provide a completely new cartridge if necessary. While our repairs are permanent and long lasting, we strongly recommend letting us transfer the tape to DVD to safely and securely preserve the contents. Most repairs can be done between $19.95 – $49.95 per tape. 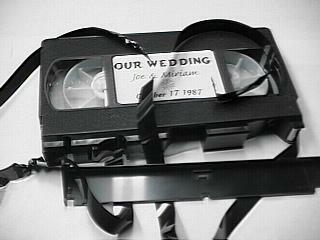 Give us a call at 916-837-0530 for more information on getting your video tapes repaired.